TokenBox is a platform for creating and investing in legal, secure crypto funds. Portfolio managers get a turn-key solution for launching a new fund, while investors are able to choose a fund based on their risk and reward preferences. TokenBox’s token generation event (TGE) is scheduled to begin on November 14, 2017 and end on November 28, 2017. Those who wish to participate in the TGE can do so with ether or bitcoin via the official website. Tokenbox Explainer Video from Tokenbox.io on Vimeo. 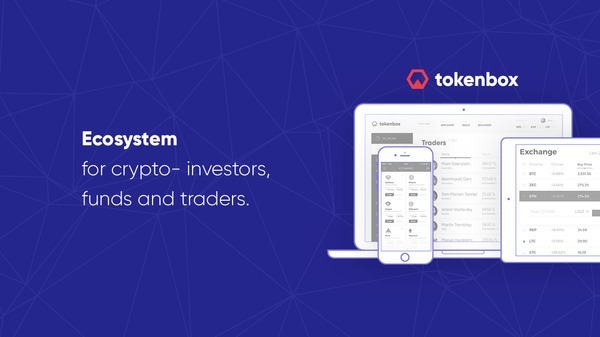 The basic idea with TokenBox is to allow investors to easily follow cryptocurrency investment strategies from portfolio managers and traders in a safe and secure manner. Those who wish to create a new cryptocurrency fund are able to do so via a ready-made “box” solution offered by the TokenBox platform. TokenBox’s legislative infrastructure will allow fund managers to enjoy legal incorporation functionality for the creation of a new fund and issuance of that fund’s tokens. Additionally, TokenBox will also take care of the identity verification process for those who are interested in investing in the new fund. Funds created via TokenBox will be easily marketable to other investors on the platform, and there will be a rating system that allows the smallest funds to compete with the big boys. For investors, TokenBox aims to provide a secure, simple gateway into the cryptocurrency economy. Not only are fiat-based payment systems available for use, but newcomers to the space can track cryptocurrency veterans rather than trying to pick their own winners and losers. The team behind TokenBox has already launched two other projects in the blockchain space: The Token Fund and Zerion. The Token Fund is a tokenized investment fund that offers easy access to a diverse portfolio of cryptocurrency speculations to the holders of the token. Zerion is a fintech company that has experience in developing smart contracts on Ethereum. Information about three of the team members can be found via the project’s LinkedIn page. The vast majority of the team appears to be based in Russia. TBX is the token being launched in the TokenBox TGE. It is described as a “utility token” that provides access to the platform’s services in the TokenBox “light paper”. In order to launch a new fund, a portfolio manager must acquire some TBX tokens and deposit them on the TokenBox platform. TBX tokens must account for five percent of the total value of the new fund. TBX is an ERC-20 token on the Ethereum network, so it is compatible with many Ethereum wallets and exchanges. No more than 31 million TBX will be created during the token generation event. The total number of issued tokens will depend on the amount invested. Each TBX token will be sold for the ether equivalent of one US dollar. Seventy-five percent of tokens will be made available during the token sale, which means the cap on the amount that can be raised is $20 million. Another 20 percent of the tokens will be made available to the TokenBox team, while the remaining five percent will be used for project bounties. In terms of the funds that are raised during the TGE, 30 percent will be used as initial investments to funds selected by the TokenBox team, 30 percent will be used for development, 20 percent will go to the TokenBox team and founders, 15 percent will go to marketing, and 5 percent will go to legal costs. A 30 percent token bonus is available to those who invest $50,000 or more via a private sale. The TGE will be available to participants in every country except for Singapore and the United States. TokenBox’s activity and engagement on social media appear to be genuine, meaning that they are not simply astroturfing Twitter and other platforms to make it look like there is interest in their project. The project’s Telegram group appears to be the main watering hole for the community, and the group has 1619 members at the time of this writing. Zerion has a GitHub page, but the only code available related to TokenBox has to do with the ICO presale website. The TokenBox subreddit is basically empty, with only seven subscribers. At first glance, the TokenBox project looks much more legitimate than many of the other ICO projects out there today. However, a variety of questions remain as to whether there is a long-term value proposition for the TBX token. The economics of the TBX token appears to be an improvement over many other utility tokens because it forces users to hold the token rather than simply use it for transacting. With the way the TBX token and TokenBox platform are structured, the underlying value of the combined value of all TBX tokens should be five percent of all crypto funds currently taking on new investment (funds that do not have at least five percent of their assets in TBX are not able to take on new investment). While this model could be viewed as an improvement over traditional altcoin and app coin models, it still comes at the expense of a lower quality of service offered by the TokenBox platform, mainly that any fund launched on TokenBox must also invest in the platform itself. Funds launched on other platforms may have an advantage because they do not have to invest in the base platform. The idea that another platform that allows users to follow other people’s cryptocurrency trades without this requirement of investing in the base platform will appear is not theoretical. In fact, it already exists in the form of ShapeShift’s Prism. Having said that, charging fees for managing funds on behalf of others is not available via Prism at this time. While TokenBox is expected to launch in quarter three of 2018, Prism is available today. Services that are similar to the ones that TokenBox will potentially offer are also already available via eToro. The social trading platform has shown an increased interest in the cryptocurrency market in recent months, and a CryptoFund is already available through its website. The upfront financial rewards for the TokenBox team and founders is also concerning. With 20 percent going to the team and founders before they do anything else, there may be less of an incentive for those individuals to continue with the project after the initial funds have been raised. Remember, you are investing your money in a group of people that you have (probably) never met before, and they are able to cash out some of the money right away. In summary, TokenBox may not be the outright scam that has become common in the ICO space, but it is still very much a risky investment. A key question to ask when it comes to this ICO is whether fund managers will be willing to put five percent of their assets into TBX tokens. Sign up to receive updates on the TokenBox ICO here. For information about other current and upcoming ICOs, visit our initial coin offerings page. 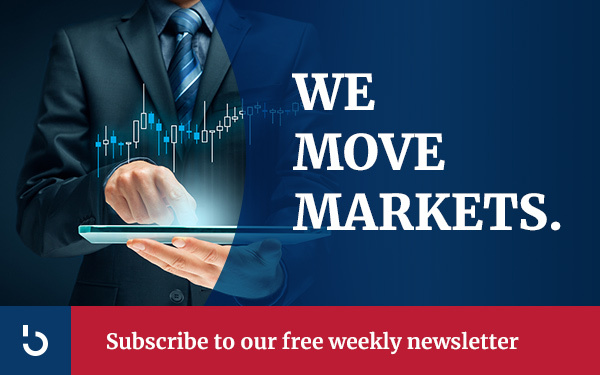 For access to reliable information about investment in ICOs, altcoins, and bitcoin, subscribe to the Bitcoin Market Journal newsletter today!